The systems apply primarily to pottery, which is a benchmark for relative dating of associated artifacts such as tools and weapons. On the basis of style and technique, Evans divided his Cretan Bronze Age pottery finds into three main periods which he called Early, Middle and Late Minoan. These were sub-divided into phases and some of those into sub-phases. The Helladic and Cycladic schemes were devised later and have similar sub-divisions. Evans' system has stood the test of time remarkably well but his labels do not provide firm dates because change is never constant and some styles were retained in use much longer than others. Some pottery can be dated with reasonable precision by reference to Egyptian artifacts whose dates are more certain. Helladic society and culture have antecedents in Neolithic Greece when most settlements were small villages which subsisted by means of agriculture, farming and hunting. The gradual development of skills such as bronze metallurgy, monumental architecture and construction of fortifications brought about the transition from the Neolithic to the Bronze Age. 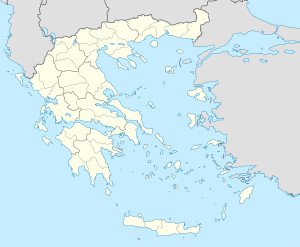 The Late Helladic (c.1550–c.1050) is sometimes called the Mycenaean Age because Mycenae was then the dominant state in Greece. At the end of the Bronze Age (c.1050 BC), Aegean culture went into a long period of decline, termed a Dark Age by some historians, as a result of invasion and war. Archaeology has found evidence, primarily in the form of pottery, that a broadly similar way of life was spread over mainland Greece, the Cyclades and Crete as the Neolithic (New Stone) Age was superseded by the Bronze Age before 3000 BCE. Evidence increases through Bronze Age strata with social and economic development seen to develop more quickly. Unlike the Egyptian and Mesopotamian civilisations, the Aegean peoples were illiterate through the third millennium and so, in the absence of useful written artifacts, any attempt at chronology must be based on the dating of material objects. Pottery was by far the most widespread in terms of everyday use and also the most resistant to destruction, even when broken as the pieces survive. Given the different styles and techniques used over a long period of time, the surviving pots and shards can be classified according to age. As stratified deposits prove which of similar objects from other sites are contemporary, they can therefore be equated chronologically. The Early Helladic I period (or EHI), also known as the "Eutresis culture" c.3200–c.2650 BC, is characterized by the presence of unslipped and burnished or red slipped and burnished pottery at Korakou and other sites (metal objects, however, were extremely rare during this period). In terms of ceramics and settlement patterns, there is considerable continuity between the EHI period and the preceding Final Neolithic period (or FN); changes in settlement location during the EHI period are attributed to alterations in economic practices. The transition from Early Helladic I to the Early Helladic II period (or EHII) c.2650–c.2200 BC, occurred rapidly and without disruption where multiple socio-cultural innovations were developed such as metallurgy (i.e. bronze-working), a hierarchical social organization, and monumental architecture and fortifications. Changes in settlement during the EHII period were accompanied with alterations in agricultural practices (i.e. oxen-driven plow). The Early Helladic II period came to an end at Lerna with the destruction of the "House of the Tiles", a corridor house. The nature of the destruction of EHII sites was at first attributed to an invasion of Greeks and/or Indo-Europeans during the Early Helladic III period c.2200–c.2000 BC(or EHIII); however, this is no longer maintained given the lack of uniformity in the destruction of EHII sites and the presence of EHII–EHIII/MH continuity in settlements such as Lithares, Phlius, Manika, etc. 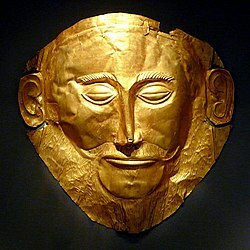 Furthermore, the presence of "new/intrusive" cultural elements such as apsidal houses, terracotta anchors, shaft-hole hammer-axes, ritual tumuli, and intramural burials precede the EHIII period in Greece and are in actuality attributed to indigenous developments (i.e. terracotta anchors from Boeotia; ritual tumuli from Ayia Sophia in Neolithic Thessaly), as well as continuous contacts during the EHII–MH period between mainland Greece and various areas such as western Asia Minor, the Cyclades, Albania, and Dalmatia. Changes in climate also appear to have contributed to the significant cultural transformations that occurred in Greece between the EHII period and the EHIII period (ca. 2200 BCE). In Greece, the Middle Helladic period (or MH) c. 2000 BCE - c. 1550 BCE was a period of cultural retrogression, which first manifested in the preceding EHIII period. The MH period is characterized by the wide-scale emergence of Minyan ware, which may be directly related to the people whom ancient Greek historians called Minyans; a group of monochrome burnished pottery from Middle Helladic sites was conventionally dubbed "Minyan" ware by Troy's discoverer Heinrich Schliemann. The Dendra panoply, Mycenaean armour, 1400 BC. The description of the LHIIA is mainly based on the material from Kourakou East Alley. Domestic and Palatial shapes are distinguished. There are strong links between LHIIA and LMIB. LHIIB began before the end of LMIB, and sees a lessening of Cretan influences. Pure LHIIB assemblages are rare and originate from Tiryns, Asine and Korakou. C-14 dates from Tsoungiza indicate LHII was dated to between 1600/1550 and 1435/1405 BCE, the start of which is earlier than the assigned pottery date by about 100 years, but the end of which nearly corresponds to the pottery phase. In Egypt, both periods of LHII correspond with the beginning of its Theban "Imperial" period, the New Kingdom of Egypt, from pharaohs Hatshepsut to Thutmose III (r. 1479–1425 BCE) of the Eighteenth Dynasty. Model of Mycenae, citadel ruins from the Late Helladic period 14th century BC. Remains of stairway in the proto-palace House of the Tiles, 2500–2300 BC. Tiryns, ruins from the Late Helladic period 14th century BC. ^ "The Bronze Age on the Greek Mainland: Early Bronze Age – Early Helladic II". Athens: Foundation of the Hellenic World. 1999–2000. ^ a b "The Bronze Age on the Greek Mainland: Early Bronze Age – Early Helladic III". Athens: Foundation of the Hellenic World. 1999–2000. ^ a b c d e f g h MacSweeney 2004, Table 1. Population estimates for Aegean sites in EB II, p. 57; MacSweeney dates the Early Bronze II period (or EB II) to circa 2800–2200 BC (see p. 53). ^ a b Pullen 2008, pp. 21–22. ^ Pullen 2008, pp. 24–26; Whittaker 2014, p. 49: "The second half of the Early Helladic period is characterized by monumental architecture and fortifications, a hierarchical social organization, widespread metallurgy and lively contacts with other parts of the Aegean." ^ Pullen 2008, pp. 27–28. ^ Pullen 2008, pp. 36, 43 (Endnote #22): "A corridor house is a large, two-story building consisting of two or more large rooms flanked by narrow corridors on the sides. Some of those corridors held staircases; others were used for storage." ^ Pullen 2008, p. 36; Forsén 1992, pp. 251–253. ^ Pullen 2008, p. 36; Forsén 1992, pp. 253–257. ^ Pullen 2008, p. 36. ^ "The Bronze Age on the Greek Mainland: Middle Bronze Age – Introduction". Athens: Foundation of the Hellenic World. 1999–2000. ^ Mellaart 1958, pp. 9–33. ^ Pullen 2008, p. 40; French 1973, pp. 51–57; Caskey 1960, pp. 285–303. ^ Lolos 1990, pp. 51–56. ^ Kuniholm 1998, pp. 3–4. ^ Bintliff 2012, p. 107: "Taken together, the Mainland Early Helladic Corridor Houses, Anatolian Troy, the Northeast Aegean fortified villages, and perhaps also Manika, may well evidence complex societies, either organized by an elite, or at least achieving corporate, proto-city state form." ^ a b c MacSweeney 2004, p. 57 (Table 1. Population estimates for Aegean sites in EB II). ^ Bryce 2006, p. 47: "Lerna in the Argolid region was probably the most important and the wealthiest of all Early Helladic II sites. Founded in the Neoiithic period (represented by Levels I and II on the site), it was abandoned at the end of this period and was subsequently reoccupied at the beginning of Early Helldaic II (Level III)." ^ Chapman 2005, p. 92; Hornblower, Spawforth & Eidinow 2012, "Tiryns", p. 1486. ^ Tiryns. Reconstructed Groundplan of the Circular Building (Rundbau). Early Helladic II. ^ Weisman, Stefanie (2008). "An Analysis of the Late Bronze Age Site of Ayia Irini, Keos" (PDF). Institute of Fine Arts. ^ a b c "The Bronze Age on the Greek Mainland: Early Bronze Age – Aegina". Athens: Foundation of the Hellenic World. 1999–2000. Caskey, John L. (July – September 1960). "The Early Helladic Period in the Argolid". Hesperia. 29 (3): 285–303. doi:10.2307/147199. JSTOR 147199. Lolos, Y.G. (1990). "On the Late Helladic I of Akrotiri, Thera". In Hardy, D.A. ; Renfrew, A.C. (eds.). Thera and the Aegean World III. Volume Three: Chronology – Proceedings of the Third International Congress, Santorini, Greece, 3–9 September 1989. London: Thera Foundation. pp. 51–56. Mellaart, James (January 1958). "The End of the Early Bronze Age in Anatolia and the Aegean". American Journal of Archaeology. 62 (1): 9–33. doi:10.2307/500459. JSTOR 500459. Shaw, Joseph W. (1987). "The Early Helladic II Corridor House: Development and Form". American Journal of Archaeology. 91 (1): 59–79. doi:10.2307/505457. JSTOR 505457. Shear, Ione Mylonas (January 2000). "Excavations on the Acropolis of Midea: Results of the Greek–Swedish Excavations under the Direction of Katie Demakopoulou and Paul Åström". American Journal of Archaeology. 104 (1): 133–134. doi:10.2307/506802. JSTOR 506802.
van Andels, Tjeerd H.; Runnels, Curtis N. (1988). "An Essay on the 'Emergence of Civilization' in the Aegean World". Antiquity. 62 (235): 234–247. doi:10.1017/S0003598X00073968. Archived from the original on 14 October 2013. Wikander, Örjan (January – March 1990). "Archaic Roof Tiles the First Generations". Hesperia. 59 (1): 285–290. doi:10.2307/148143. JSTOR 148143. Wikimedia Commons has media related to Helladic pottery. This page was last edited on 30 March 2019, at 16:26 (UTC).